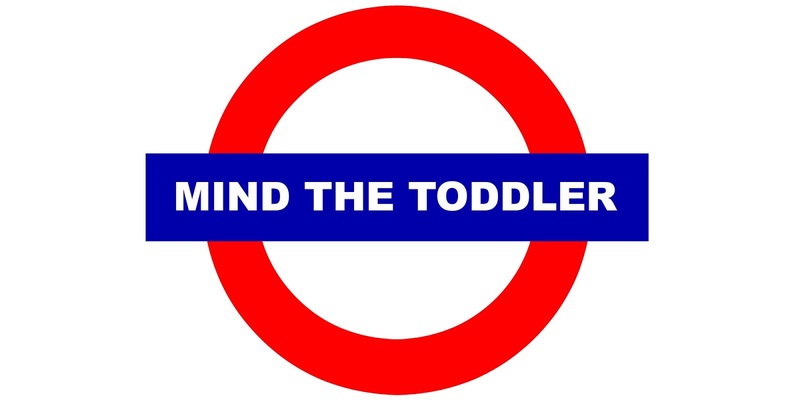 Travelling with a toddler can be tricky. I only have the one but he's fiercely independent, shunning the pushchair and even the trolley when we go food shopping, because he can and wants to walk around and see things for himself. One thing that has got easier as Ethan has got older is packing to go away. He doesn't need half as much stuff as he did. To be honest, I think I've always over-packed for him - from my hospital bag that by and large went untouched to our breaks away at Center Parcs or weekends to see my parents, babies and little people have a lot of stuff. And I've always been one of those 'better to have too much than too little' types. Nowadays, going away for a couple of nights only requires a couple of outfits, and one still for back up (although we haven't had to change Ethan when out for any reason for so long now), then his toiletries and snacks for the road. Add a fully charged iPad, some kind of activity (like colouring) to keep him occupied and his flavour of the moment toy (currently his Paw Patrol cuddly toys), and we're good to go. Recently, we took Ethan to London for the first time and with a train journey, taxis, the underground and sightseeing to prepare for, I knew we'd need to, well, be prepared! Whether you have a standard nappy bag or can't bear to be without your own handbag, trust me, a backpack is an essential. I hate having a heavy bag swinging on my shoulder, particularly if you're on your feet and going to a lot of places, so being able to carry everything on your back will make things so much easier. And, if your toddler gets tired and wants a ride, you can pick them up. I have this fold-up Cath Kidston one (there's four designs to choose from) and it's great. I put Ethan's juice in one outer pocket, and umbrella in the other and then wipes (THE parent essential!) in the pocket, with everything else inside. You'll be much more comfortable and free to enjoy your time out and about - and it goes without saying that flats or comfy shoes are a must. I ditched the Converse as I know they always pinch my feet after more than a couple of hours (I highly recommend these CK hightops for comfort and style). Particularly at this time of year. It's a pain, but having gloves and a hat packed just in case it's brisker than you were expecting - or sun tan lotion, in the hope the sun may have its hat on - will have you covered for all eventualities. 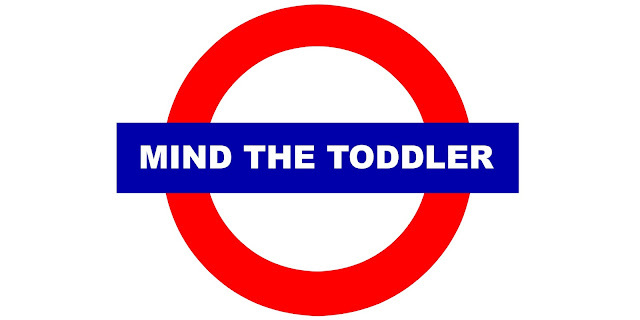 I've been to London many a time for work, but seeing it through a toddler's eyes is quite different. It's good to ask around to see what people would recommend, for children of different ages. I asked fellow bloggers for their tips and where to go (and shared links to lots of London related posts if you want to read on) and had a few ideas in mind. Planning ahead will help you to get the most out of your break away, so you can fit everything in and also so you can book some things in advance if possible, to make the most of any discounts. Think ahead to in case there's any potential conflicts to your plans; we went over the Easter weekend and didn't think (d'oh!) that places would be shut on the Sunday. Luckily, museums are always open and we headed to the Natural History Museum, but it meant that we missed out on the big Disney store on Oxford Street (we love our Disney!). The thing is, little legs can get tired quickly so planning your day so you can cover off your 'must-sees' in good time is a good idea. You can work out quicker routes or where other attractions might be close to one another and you can also think ahead to when you might need to change or feed them to keep in line with their current routine. 4. Don't forget the pushchair! We have two strollers and the Quinny Yezz is by far our favourite for nipping around town. To be honest, we have barely used a stroller for months now, as Ethan is so confident on his feet and we don't tend to go anywhere too busy or be out for too long a period. Going to London, or on a city break in general, is a different matter and it can get really tiring - for little feet, and for you when they decide they don't want to walk any more! Hubs was a bit anxious about taking Ethan on the underground but we braved it on the second day (thank goodness I had my backpack!) and it was probably a real highlight for us. Ethan loved the experience and getting to see all the trains, and we could nip here and there with relative ease. We stayed at Holiday Inn Bloomsbury and the staff were so friendly and helpful. They really engaged with Ethan from the moment we arrived, they gave him an activity pack and they also told us what we could find nearby - including a private playground a few minutes' walk away. We were just your average hotel guests but the team made sure we were comfotable and made some really good suggestions during our stay. We might think seeing the sights and doing a spot of shopping is oodles of fun (because it is!) but we all know that toddlers can be temperamental. We took a fully charged iPad, with downloads of Ethan;s favourite Cbeebies shows and films, ready to whip out when we were having something to eat in case he got bored, so just think about what you can take to keep their hands busy. Ethan chose to take one of his Paw Patrol friends along for the adventure. I really wish we had been able to do this, as it's such a great way to take in the sights without pounding the pavement or taking hours and hours to do. You can sit back and enjoy the view, hopping off here and there if you want to. Everyone gets to sit down for a bit and even if the weather is a bit grim, you can go inside and still enjoy the journey. I know I said to be prepared, but I always over pack and really, going to London isn't going to another country - if you need something, you're sure to find it if you really do need it. I always take more than we need with us but if you're trying to keep your baggage to a minimum (and you really should, because you're probably going to be like a donkey for the weekend) think about what you're going to wear and whether you really need to take three pairs of shoes, 'just in case'. Life with a toddler can be unpredictable and sometimes we can really over-think things and get worked up that travelling or staying away is going to be a nightmare. We all know our own children but you can never really tell how they will take a new experience until you try it and if they have a full on tantrum in the middle of Leicester Square, so be it. It'll pass. Going away for the weekend should be more fun, less stress, so try and not worry too much if you can't fit everything in or if your visit doesn't go to plan. There's always next time. If you have some top travel tips to share, for London or just in general, do add your link below.